At a time when many despair of culture, Elshtain recovers the life-affirming essence of what it means to be human. Respected Christian ethicist Jean Bethke Elshtain finds in the tensions and tragedies of our turn-of-the-century society hope in the recovery of personhood. She explores the internal and external trappings that so easily lead us to forget how to be faithful to something other than ourselves. This is a work of political analysis, cultural criticism, and theological engagement. Elshtain suggests that much of what we rightly interpret as troubling presents fascinating interpretive occasions for Christians, who, of all people, are called to live in hope. She highlights in particular certain aspects of youth culture, taking up popular films like Seven and Titanic and tragedies like the shootings at Columbine High School. What she finds running through all of these are examples of courage and a search for a source of truth and meaning that seems to elude so many. I'm the author/artist and I want to review Who Are We? 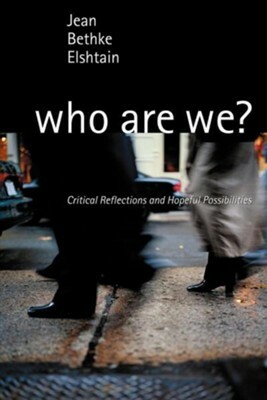 : Critical Reflections and Hopeful Possibilities.